Jammer Direct’s Flagship Station JammerStream Declares Screamer de Mayo! Both shows will air back to back on May 5th beginning at midnight US EDT and air all day alternating between the two shows. From there the schedule will be as follows: RadioScreamer will air every Monday & Wednesday at 11am and 11pm US EDT and Ron Keel’s Streets of Rock & Roll will air every Tuesday and Thursday at 11am and 11pm US EST on JammerStream One. You can find the station JammerStream One on Jammer Direct’s main website at www.jammerdirect.com or on their station site at www.jammerstream.com. About Jammer Direct & JammerStream: Jammer Direct was created in October 2007 as a way to promote musicians and artists from around the world at no cost to them. 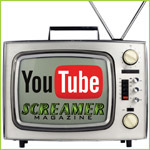 About RadioScreamer: RadioScreamer is keeping 80s metal molten hot and shrapnel sharp in the 21st century. 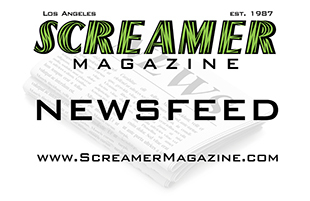 A one-hour music program hosted by David Castagno, Publisher/Editor of L.A.’s renowned Screamer Magazine, RadioScreamer showcases the music that defined an era, exploded into a cultural phenomenon, and has become a permanent part of the music scene. About Streets of Rock & Roll with Ron Keel: Streets of Rock & Roll, hosted by Ron Keel is a solid hour of rock, exclusive interviews, music, news, commentary, stories from the road and much more.